Pictured left to right: ERA Real Estate Vice President of Broker Services, Stephanie Reyna; ERA Team VP Leadership Team, Denise Whipp, Rita White, Rachael Wiley-Steffen, Hanna Soffel Briggs, Mary Beth Holt, and Bill Soffel. This tagline “Teamwork. Trust. Results.” includes three foundational terms that convey the mission and vision of ERA Team VP, while encompassing what the Real Estate & Vacation Rental firm strives to provide on a daily basis for staff, agents, and customers alike. The tagline emerged from an in-depth process of strategic planning executed by the ERA Team VP leadership team. The evolved brand follows a successful year for ERA Team VP, as the firm achieved a record number of closed sales transactions in 2015. Additionally, fully integrating all real estate agents to the ZAP platform, a new innovative online website and contact management system. First unveiled for staff and agents at the annual ERA Team VP Year End Awards Banquet, held this past month at the Seneca Allegany Resort & Casino in Salamanca NY, the new brand tagline has already been rolled out across the company’s online platforms including social media and electronic communications, as well as multiple printed publications. Updates to other brand touch points are also underway and will continue through 2016. For more information about ERA Team VP Real Estate & Vacation Rentals visit www.MyTeamVP.com or call 800-789-2600. Dale Sandberg was awarded ERA Team VP’s First In Service nomination for January 2016. Sandberg has been a full-time real estate professional with ERA Team VP for 7 years and is a Top Gun graduate. He works out of the Chautauqua and Lakewood, NY offices, covering all areas of Chautauqua County. His selection for this honor was based on three sets of customer satisfaction survey results. “Dale, even though suffering a surgery, still returned calls promptly and kept the ball rolling.” -Margaret H.
“An all around smooth, fast moving process. Barely felt like I was selling anything.” -Anthony S.
“Dale did an outstanding job keeping us updated of the progress and helping us find companies for things we needed to accomplish our requests. We had a great experience and will recommend Dale to others.” -James M.
For more information about ERA Team VP Real Estate and the real estate market in Western New York visit ERATeamVP.com, contact our Chautauqua office at (716) 789-2600, or call Dale Sandberg directly at (716) 397-8226. Cuba Office Agents at the 2015 Awards Ceremony. From left to right, Bill Soffel (Broker/Owner), Steve Bombardier, Linda Simons, and Paul Conklin. The local ERA Team VP Real Estate location has moved to a two-suite office at 24 Main Street in Cuba. Linda Simons, Associate Broker, says the agents are very excited about the move, and being in the center of all of the new activity in downtown Cuba. The new space is ideally set up to take advantage of the real estate industry’s trend toward more efficient and technology-based offices. ERA Team VP Real Estate is owned by Bill Soffel, Broker. 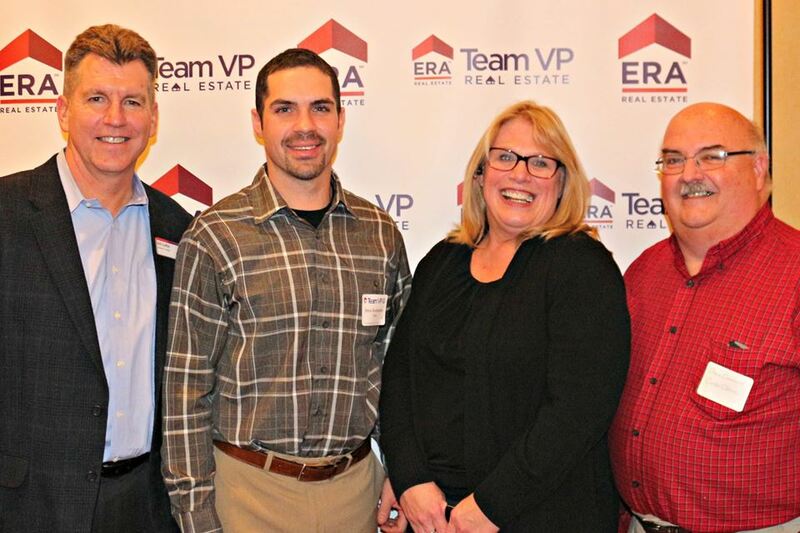 Besides Simons, ERA’s team of professional real estate agents includes Bill Shuler, Paul Conklin, Steve Bombardier and Sherry Wiedemann. 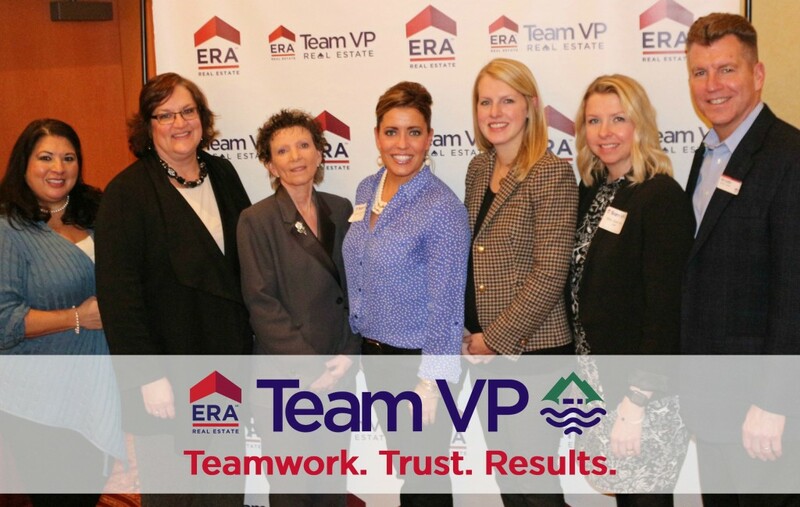 ERA Team VP operates 11 office locations across the Southern Tier and Northwestern PA, and offers MLS multiple listing services through 5 different MLS providers across NY and PA. ERA Real Estate is an innovative franchising leader in the residential real estate industry with 40 years’ experience in developing consumer-oriented products and services. The ERA network includes approximately 30,000 brokers and sales associates and approximately 2,400 offices throughout the United States and 35 countries and territories. Each office is independently owned and operated. ERA Real Estate is a subsidiary of Realogy Holdings Corp. (NYSE: RLGY), a global provider of real estate services. ERA Real Estate information is available at: ERA.com. For more information about the real estate market in Cuba, NY, please call our office at 585-968-2113. Posted on February 4, 2016 Author ERA Team VPCategories UncategorizedLeave a comment on Our Cuba Office Moved!